A string of kidnappings plagues the snow-laden city of Boston while a murderer runs amok hunting and killing unborn babies of the city's social elite. 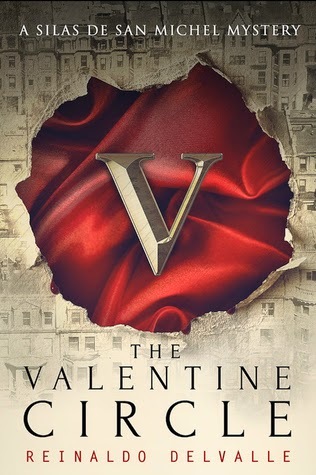 A powerful group called the Valentine Society controls the city's police department, and the people of Boston's last hope for justice lies in the hands of a man who mysteriously washes ashore from a distant foreign land, battered and bruised. Just a week after he is found unconscious inside a cargo ship, Officer Silas de San Michel is thrust into mysterious case dealing with the vicious killings of pregnant teenage girls. But what he doesn't know is that these young girls belong to the secret Valentine Society, an elite group of Boston socialites that have corrupted the city's top officials, unashamedly operating above the law. With the help of his boss, the highly intelligent Inspector Belloc, and his lovely assistant, the boisterous and spirited Miss Posy Chapman, Silas embarks on a journey that takes him inside a secret world of rules and privileges, of oppressive parents and mischievous alliances. Weighed down by the sickness of memory loss, Silas struggles to maintain his sanity as he begins to discover the darkness of plaguing his own sordid past, a darkness that ultimately brings him to the brink of becoming that which he hunts, a serial killer who was raised and trained by an insidious organization known only as The Factory. While reading this book, I felt like I was in one of those crime/forensic shows like CSI: Miami or Criminal Minds. Yes I must agree! It was a like Criminal Minds in book form! Such brilliant and superb language, plus the mystery was well thought out. I really don't know what I loved more about this book- the mystery and suspense or the character development? The characters were just so involved with one another and even though we have our main character, who doesn't remember anything about himself, he soon learns that hes more capable than he ever thought he was. In the beginning of the book we don't get much of his past life, but I can dub that he was probably a forensic scientist or a P.I. based on how much he knew about the crime scenes. A string of teenage girls are being horribly killed off by a sick psychopath. Now I would love to reveal the whole plot of this murderer's reason for killing but this is, once again, a spoiler-free review. And I've been having so much trouble lately with connecting to characters, but it was pretty much settled out for me in this book. In the story we are introduced to Silas, Posy, and Belloc, who are the three detectives working on this case. I think the author wanted to stress the forensic aspects of the story and put us in their shoes for a reason. If you've ever dreamed of going into a profession for forensics, this is the perfect book for you to be inside the head of a crime scene detective all the way from beginning to the end. It's literally that invigorating and action-packed! I'm usually not a person that reads mystery/thriller books, but this one sounds really good!